itContracting driving IT talent force at Techconnect Live 18! 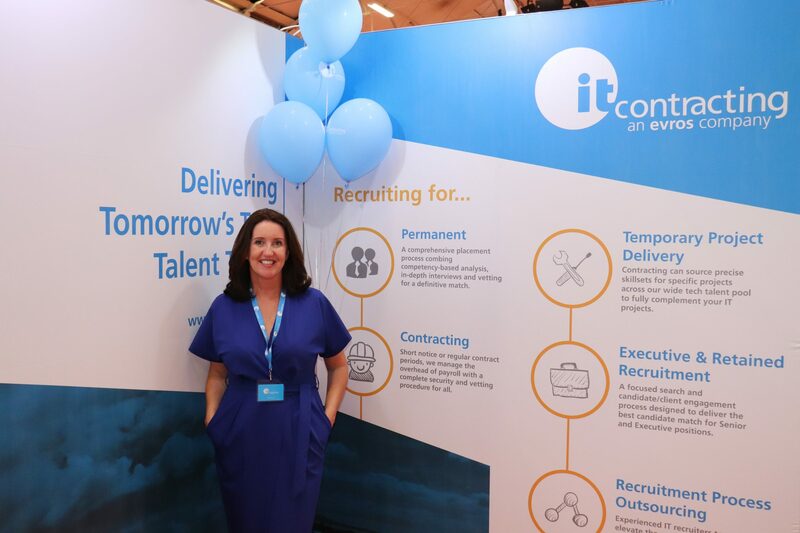 itContracting Practice Director, Sharon O’Reilly headed the recruitment team yesterday at the Techconnect Live 2018. There was a huge turnout for this year’s TechConnect Live as over 5,000 delegates took to the RDS for a day out at Ireland’s largest annual business and technology exhibition for Micro, SME and Enterprise level companies. itContracting was in the thick of it, doling out expert advice on candidate CVs at the itContracting CV Clinic, and advising companies on IT talents needs in today’s current market. “I feel today’s tech market in Ireland is seeing huge talent enter the field, both nurturing professionals at a local level and talent coming from overseas. The diversity and levels of expertise we’re seeing at contracting is overwhelming. Whether enterprises are seeking permanent placements, contract positions or specialist projects, we can hire the right IT fit for your company. “itContracting’s proven ability to staff major organisations with dedicated individuals through to entire teams, from start-up to established multinationals and Public sector is underpinned by our core value: we’re an IT company that understands recruitment, not just a recruitment company trying to understand IT,” adds Sharon. Sharon has led the team since its inception from strength-to-strength over the past seven years. With over 20 years’ experience in the IT and recruitment industry, she has gained deep sectoral expertise in outsourcing and staffing solutions to both the Public and Private sectors. Sharon’s background encompasses Account Management, Sales and Recruitment for companies such as Dell EMC and Evros Technology Group. She is a member of the National Recruitment Federation (NRF) and is an advocate of delivering the highest possible standards and codes of practice to clients and candidates alike. If you would like to speak with Sharon and her team about delivering Ireland’s best IT talent to your company, contact us today. Join our mailing list for itContracting news and job announcements.